John Humphrys is to step down from presenting BBC Radio 4's Today programme later this year, admitting that he should have quit "years ago". He said he was likely to leave in the autumn, but has not yet set a date. Humphrys - who also hosts TV quiz show Mastermind - has presented the flagship morning news programme since 1987. "I love doing the programme. I have always enjoyed it. That's the problem. I should have gone years ago. Obviously I should have gone years ago," he said. "But I love doing the programme," he told Radio 4's The World At One. The 75-year-old also said he would continue to present Mastermind. Speaking to his former Today co-presenter Sarah Montague on The World at One, Humphrys said he would miss the show's listeners the most, adding: "You do feel that you have a relationship with a huge number of people." 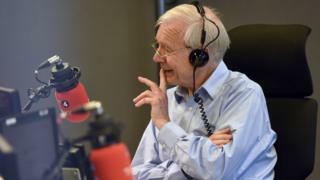 Asked what he would do after leaving, Humphrys cryptically announced: "I like trees. I want to get more involved in trees." Today editor Sarah Sands said she hoped listeners would "enjoy John's lap of honour this year". Sands, who has edited Today since 2017, said of the presenter: "He is the Today programme patriarch but also, even now, the little boy who throws stones. "He is deeply suspicious of power. Don't expect him to let up - he is with us for some time yet." 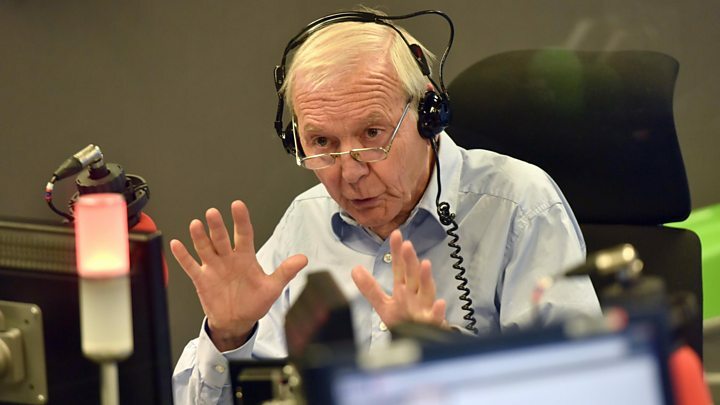 Media captionWould Radio 4 Today's John Humphrys or Sarah Montague ever become politicians? Humphrys joined the BBC in 1966 as a reporter based in Liverpool. During his career with the BBC, he has worked as a foreign correspondent in both the US and Africa, a diplomatic correspondent and presenter of the Nine O'Clock News. But he is best-known for taking Britain's politicians to task on the Today programme. Fran Unsworth, BBC Director of News and Current Affairs, said: "John will be sorely missed by audiences and his colleagues when he leaves the programme this year - if perhaps less so by the politicians he interviews." Humphrys is Today's longest-serving host but has also been a divisive figure among listeners. He was paid between £400,000-£409,999 for Today in 2017/18, according to accounts published last July. In January 2018, Humphrys was one of six male stars who agreed to take a pay cut. But he was criticised for off-air comments he made about the gender pay gap at the corporation. Towards the end of Wednesday's programme, he joked about his departure from Today during a discussion on the key to personal happiness. He asked his panel of guests: "Do you reckon me leaving the Today programme is going to make you happier? I mean, if it were to happen? It would make other people happier, possibly." 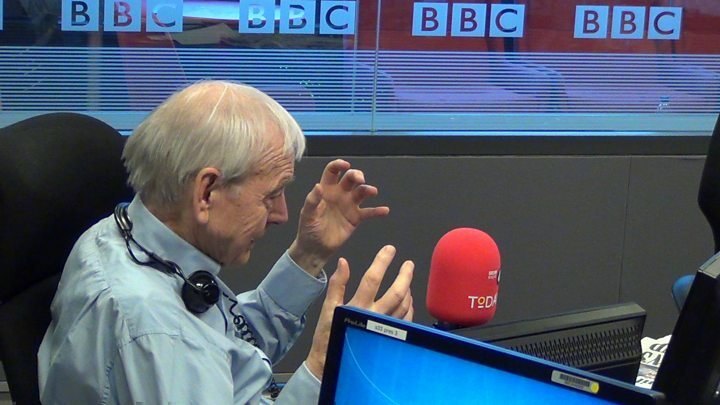 Video Who was Humphrys' toughest interviewee?